Pension Funds, insurance companies, brokerage firms, robo-advisors and your friendly financial advisor all use some sort of computer modeling. 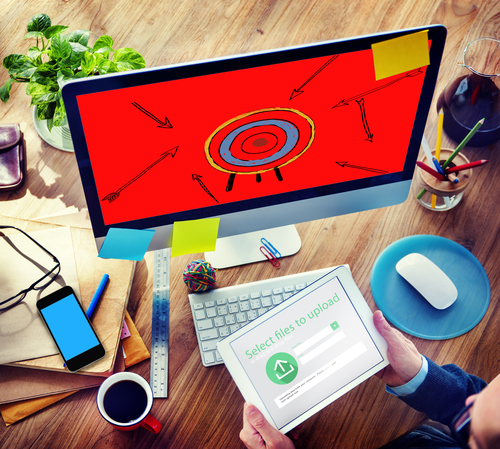 It’s modern day magic; put in your data, and hocus-pocus, it prints out a report telling you what to do. This isn’t the hokey-pokey! Today you can put good data in and get garbage out. 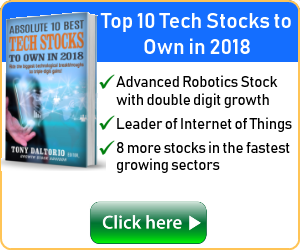 If the computer model is not up to date, when the data gets “shaken all about”, it can easily spit out bad advice; and you might unwittingly kiss your retirement dreams good-bye. I recently wrote about the California Public Employees pension problems. Their computer model targets an unrealistic 7.5% return. Their results were around 3%, well short of the goal. They are woefully underfunded. If that were your 401(k), you would be in for a shock. Either you keep working, win the lottery, and/or radically change your standard of living. Financial advisors justify the projections by using computer models over long periods of time – historically producing 7-8% average returns. It sounds good; however things have changed. The government Zero Interest Rate Policy is not “temporary”; low rates are not going away. Any models using data prior to the 2008 bank bailout-or the ones that rely on long-term historic averages-are flawed. Income targets, asset allocations and funding requirements must be changed to reflect the new norm. We don’t have 20-30 years to wait for things to return to normal. It may never happen! The State of Illinois was required to stop using their optimistic 8% target for returns. Using the new calculations, The Illinois Policy Institute estimates the unfunded liability almost doubled. Ignoring a problem eventually makes things worse. Taxpayers are screwed, and retirees will soon follow. 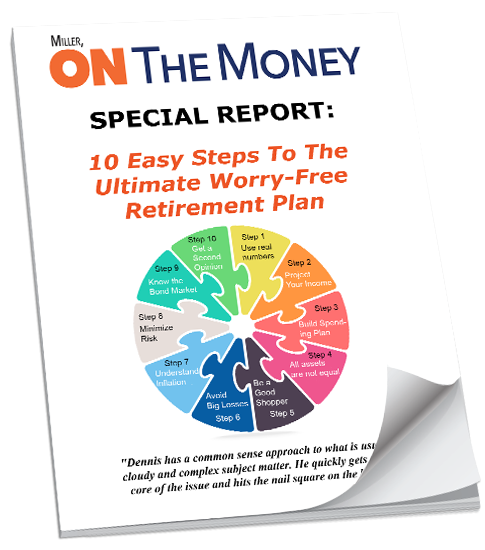 Unrealistic targets will destroy your retirement. You will be past the point of no return before you realize it. When my wife and I first ran the retirement numbers we had an emotional, “day of reckoning”. We had to save more money, change our lifestyle, and invest wisely to achieve our goal. We built our nest egg using the 6-7% safe returns available at the time. They are gone now. The “day of re-reckoning” has arrived. Our nest egg will not provide the income we projected a decade ago. Use realistic estimates. For many the “day of re-reckoning” was realizing it’s too late to catch up. Recent surveys showing 70% of workers plan to work as long as they can. Legendary investor Harry Browne touted a “permanent portfolio” using four equal (25%) asset classes, (stocks, U.S. Treasuries, cash and gold). They were inversely correlated (one zigs, another zags) to avoid catastrophic losses. The goal is to get rich slowly and not get poor quickly. Harry Browne died in 2006. Holding both inversely and weakly correlated assets still makes sense today. It reduces the possibility of catastrophic losses. Today the allocations should be changed. Interest rates today are the lowest the world has seen in 5000 years. Very few people can afford to have 50% invested in assets producing negative (after inflation) returns. Historically, as you got older, a larger portion of your nest egg would be invested in quality bonds or Certificates of Deposit (CDs). These assets were considered bulletproof and provided income certainly. If you had $100,000, you would buy five $20,000 bonds maturing a year apart; a process called laddering. When one matured, you would buy another five-year bond. You earned better interest and had good liquidity. A smaller portion would be invested in stocks. Many financial planners felt individual stocks were considered risky; preferring to diversify with a family of mutual funds. 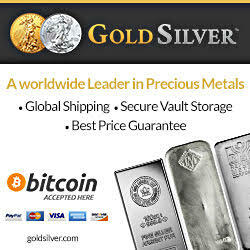 Gold offers inflation protection; many called it “Armageddon insurance”. If you had a real catastrophe – gold could be your savior. 10% was the traditional guideline. Cash served the purpose of liquidity and yield. Remember when a passbook saving account paid 4%? Today bonds are fraught with interest rate risk and/or reduction of value in the resale market. Should inflation occur, and interest rates rise accordingly, the investor must accept lower than market interest rates until maturity; or the value of the bond would drop if they try to resell it. Expect the share prices in a bond fund to drop also. If a financial advisor tells you high rated bonds are not risky ask these questions. “Can you guarantee in the next 20-30 years we will not have Carter type inflation?” Can you guarantee interest rates will remain low? The pre-2008 bond ladders were short term; you could hold them to maturity and then reinvest at higher interest rates. Today, yield-seeking investors are going to much longer maturities. You cannot reverse your position quickly or inexpensively. Inflation/interest rate concerns apply to more than just bonds. Anyone holding long-term bonds, CD’s, annuities, or a reverse mortgage must recognize the interest rate/inflation risk is higher today because the assets are long term. You must offset that risk with other assets in your portfolio. 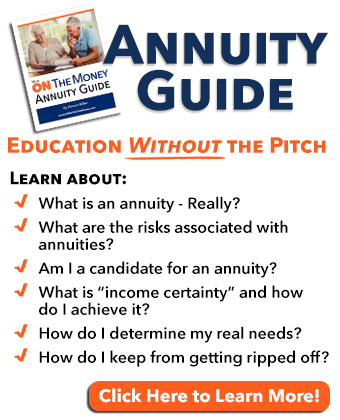 Many investors, scrambling to find alternative ways to replace the safe, income certainty, which disappeared when the banks were bailed out, have purchased annuities or acquired reverse mortgages. Both are similar to a bond with guaranteed income. Retirees generally look at them as a lifetime contract; irreversible. What happens a decade from now when their monthly checks will only pay a fraction of their bills due to inflation? Computer models and assumptions, based on historical data prior to 2008, are obsolete. Diversifying today requires a different allocation of inversely and non-correlated assets to avoid catastrophic losses. Many financial advisors are still reluctant to recommend gold. While gold isn’t the only type of inflation protection asset; it’s sure the best of the bunch. Offsetting your long term fixed income investments with gold is a MUST. How much gold? Each person is different. Look at your age, income stream, income sources and other remaining assets. Factor in your need for current income to pay the bills. It’s a constant trade off between income needs and long term protection. Even moderate inflation can put you in a position where your income no longer can pay your bills. In his day, Mr. Browne was considered a gold bug. Today, baby boomers in particular, might find his 25% target very realistic. Don’t count on your pension alone. Can anyone guarantee your pension will exist, as it is today, 10-20 years down the road? You better start saving above and beyond; you won’t regret it. Choose your stocks wisely. Don’t assume the market will rise with inflation. From 1977-1982, inflation totaled 59.2%. The S&P 500 rose around 14%. Don’t chase high, above market dividend yields. There’s probably a reason the pension funds have not gobbled up their stock. Good companies continue paying (and raising) their dividends. Unlike bonds, you are not guaranteed the stock price will drop with an interest rate increase. Keep your stop losses up to date. Protect your cash and earn some yield. Cash can still be invested in safe short term instruments and provide a little yield. I store cash in 3-month CD’s so it is liquid and earning something. If you don’t want to go offshore, Everbank offers FDIC insured CDs in foreign currencies. Do a complete portfolio review. Why are you holding each position? Do you have another holding that is inversely or weakly correlated? Review your asset correlations. Going to longer-term bonds or CDs, annuities or reverse mortgages changes the risk factor. Make sure you have adequate portfolio insurance. Don’t let your advisor tell you “Treasury Inflation Protected Securities (TIPS) are a substitute for gold.” They are not! Don’t allow unrealistic projections based on history. Baby boomers want to retire soon, not 30 years from now. Unrealistic projections leads to undue risk taking and underfunding. When you reach your magic retirement day, you want your money waiting for you. Understand the computer model. Many financial professionals buy modeling programs or use those provided by mutual fund companies. How do you know they are good and up to date? Don’t funnel your good data into an obsolete model. 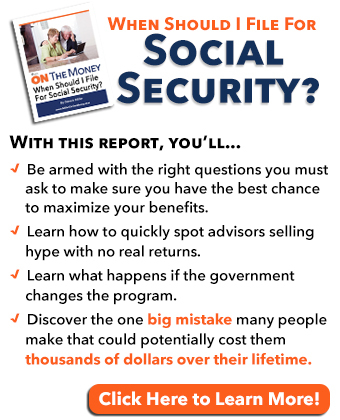 It’s your money, and your future at risk. Times have changed. We can’t meet the rosy projections from the past. Re-reckoning is taking off rose-colored glasses and dealing with reality. Don’t let a financial advisor using obsolete tools ruin your retirement. Well the Cubs did it. After 108 years of incredible frustration they finally won the World Series. In the early 1900’s most baseball fans never learned if their team won until the following day in the morning paper. An elevated train runs right by Wrigley Field. When the Cubs would win they flew a big W flag on the center field scoreboard. 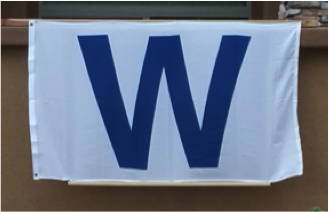 When the train approached Addison Street passengers would look for the W flag to see if the Cubs won. My son gave me this flag for my birthday. I saved it, hoping some day I could fly it when they won the championship. My wish came true! It’s hard to explain the emotions that Cub fans experienced. My youngest son called as the final out was made. I was crying and all I could muster was, “I love you”. The brick wall and sidewalk at Wrigley field is covered with chalk. Cub fans have written names and messages to their loved ones who they wished were alive to enjoy the experience. “Hope, perseverance and second chances” is what this World Series was all about. The Cubs were down 3 games to 1, and then won three straight to win the series. Cleveland had not lost three straight games all season. The Cubs blew a nice lead late in the last game and came back to win in extra innings. I’m still overjoyed, never give up, your dreams can come true. TODAY IS THE OLDEST YOU’VE EVER BEEN YET THE YOUNGEST YOU’LL EVER BE – SO ENJOY THIS DAY WHILE IT LASTS. I celebrated with a bowl of banana split ice cream topped with chocolate syrup – just like when I was a kid! Today is the Marine Corps Birthday. Semper Fi! Tomorrow is Veterans Day; America honors and remembers the real heroes. P.S. Congratulations on the Cubs win!! Wow, I had not seen that. Bad news for CA retirees and taxpayers. The more the politicians kick the can down the road ignoring the fact, the worse it will be. I’m toying with an article on the subject. Nice to hear from you. Like millions in my generation, I enlisted because we all had to serve our country in those days. In my case the USMC took a punk kid and gave him a much different perspective of the world that changed his life forever.